Oregon Coast Winter Storm Watching Jan 18th, 2018. 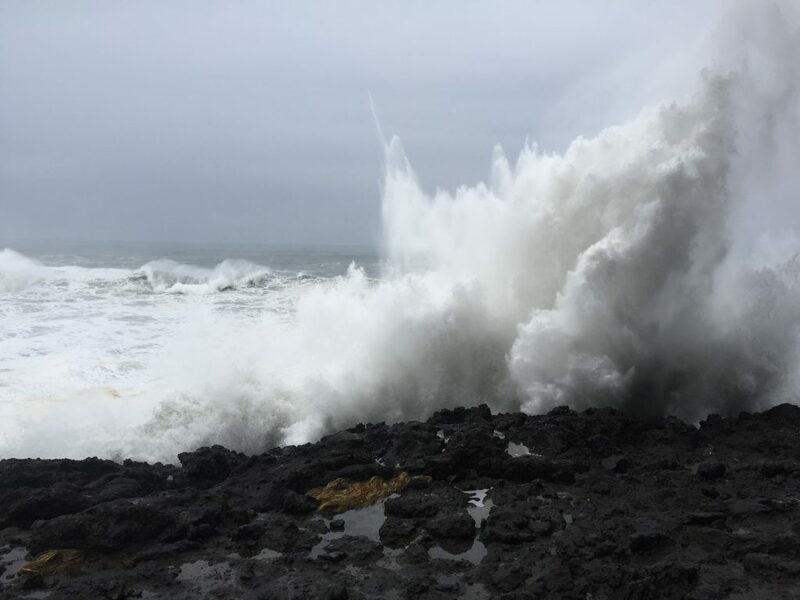 Huge swells batter the Oregon coast today! Many of the beach waysides are closed and it’s not safe to be on any of the Oregon coast beaches today! Use extreme caution if you’re storm watching and stay a good distance back! There are huge surges that can catch you off guard and knock you down and possibly wash you out to sea! Storm watchers from near and far are heading to the Oregon coast to try and witness the huge swells as they crash into the Oregon Coast. It’s truly an awesome and amazing sight! Depoe Bay is good place to storm watch the huge swells, but don’t go beyond the seawall! It’s an amazing sight to watch the huge waves crash into the rocks and send spray and seawater up over the highway and ocean front businesses. Posted in Things to do on the Oregon Coast and tagged Oregon Coast, Oregon Coast Storm Watching.